Jon Finnell of Joplin, Missouri didn't know much about Obsession until his wife expressed an interest in taking up archery back in 2015. With no luck finding a bow that met their quality needs, a local dealer suggested they give the Georgia brand a try. The dealer set up an Obsession for his wife and when they arrived, she asked Jon to shirt it first. Jon explained that experience, "I put one arrow through it then handed it to her. She asked 'is it that bad you only want to shoot once?' I said no, we can only afford one bow today!" So impressed, he went home and immediately went online and found a 2014 Obsession Phoenix. Fast forward a couple years to 2018. 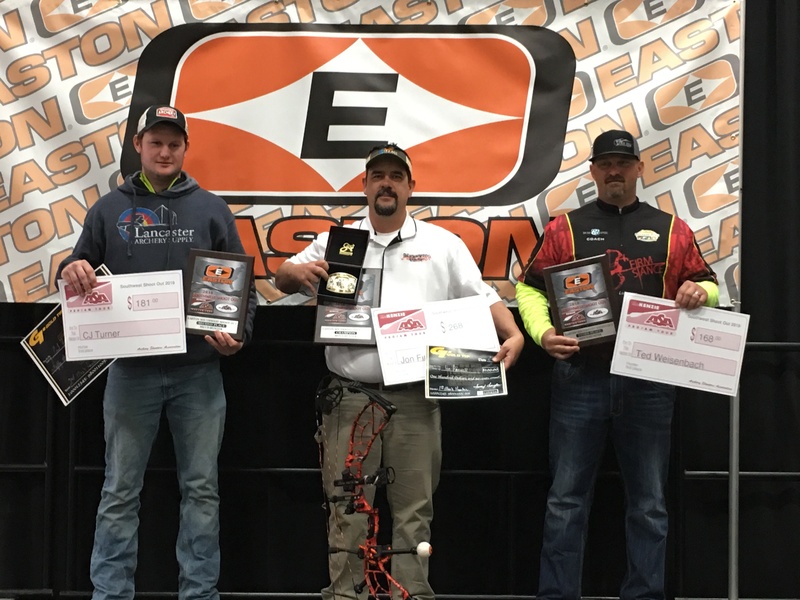 Having never previously participated on the ASA circuit, he's made it to the medal stand in two of the first three events, including a a First Place finish at the Easton Southwest Shoot-Out in Paris, Texas and Third Place at the New Breed / Black Eagle Pro-Am event in Phenix City, Alabama. Jon earned a $100 check from Obsession for his third place finish and a $500 check for taking first place. He shoots in Men's Hunter class. His next ASA outing will be the Tru Ball / Axcel Kentucky Pro-Am in London, Kentucky, May 31 - June 3. Congratulations Jon! For more information on the Obsession Bows Contingency Program, please click here.